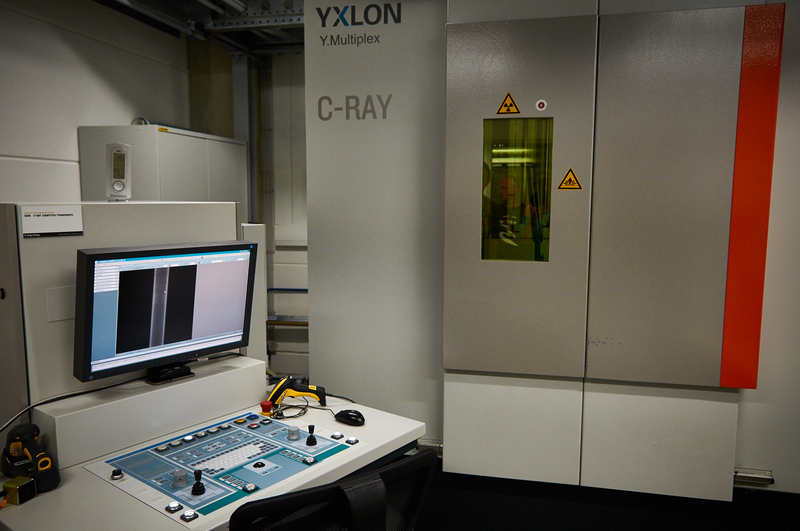 A few weeks ago we visited the Canyon factory which is located in Koblenz, Germany. The factory also host the showroom with all the mountain- and road bikes, but it’s also possible to buy parts and clothing, and there’s a bar as well. Great for a nice day out, checking all the new products and eating a good meal. Innovation, the sign on the wall says it all. 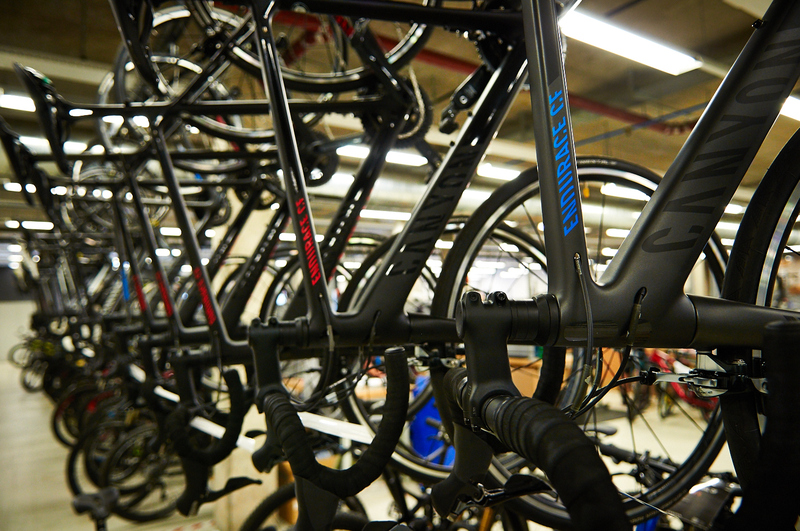 Canyon is constantly on the move to make their products better. How cool is this! 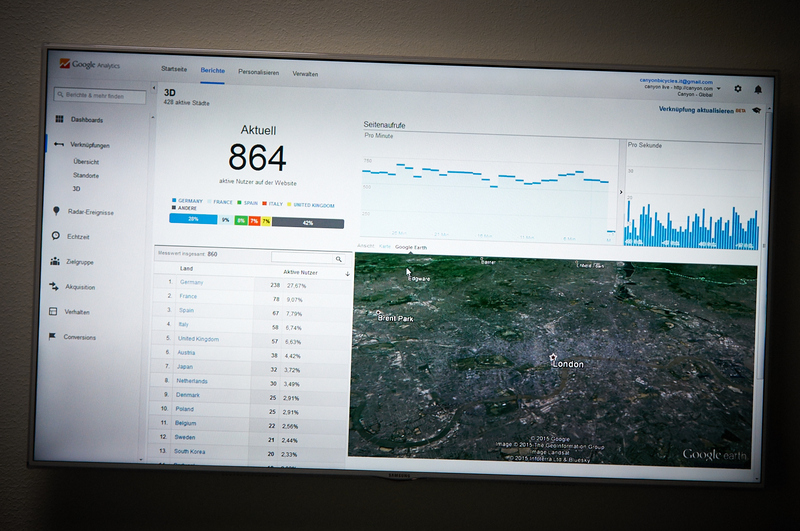 This screen shows the actual visitors on the Canyon homepage, including their location. We found quite a lot very old Canyon models at the service department. That says a lot about the quality and durability of the products. 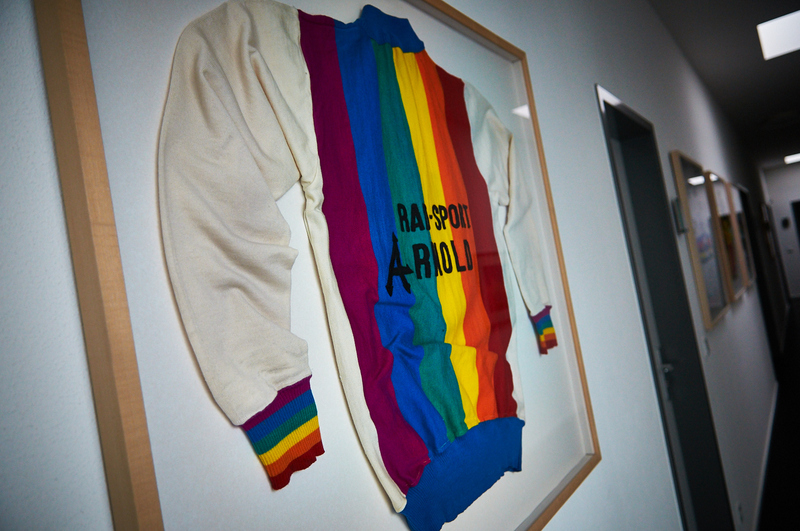 This bike jersey can be found next to the office of the man who started it all… Roman Arnold. 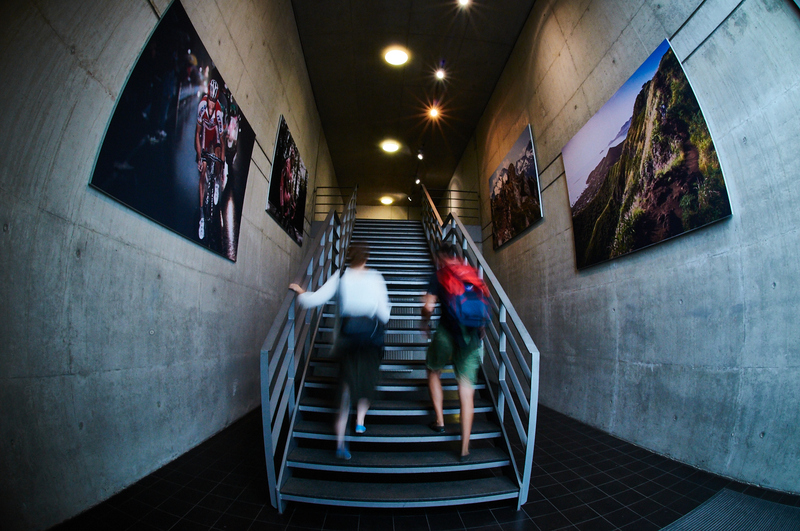 The fact that Canyon is proud of their products and their cooperation with pro teams is visible on the big pictures at the entrance of the head office. Two things got our attention during our visit. 1. There are not only men working, which is good 2. Every employee is very passionate about biking, which is really good as well! Before the bikes go into production a lot of (durance-)test are part of the process. At Canyon they actually test everything! 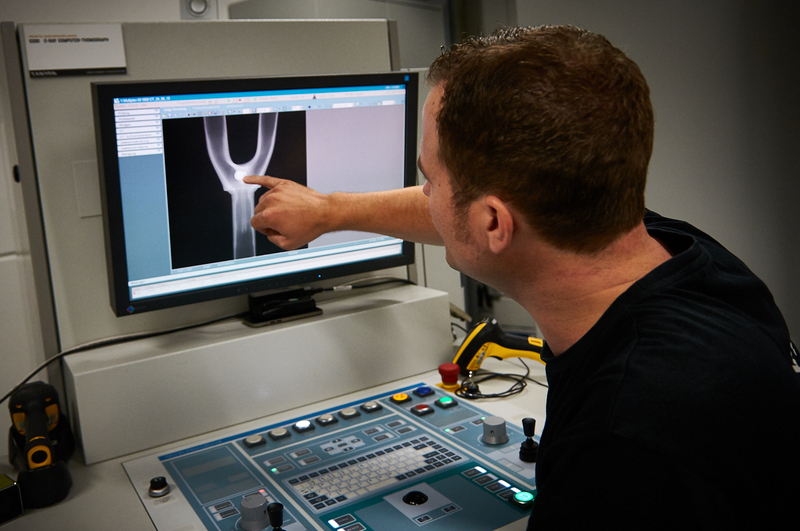 They even own their own X-Ray equipment to check the quality of the products. 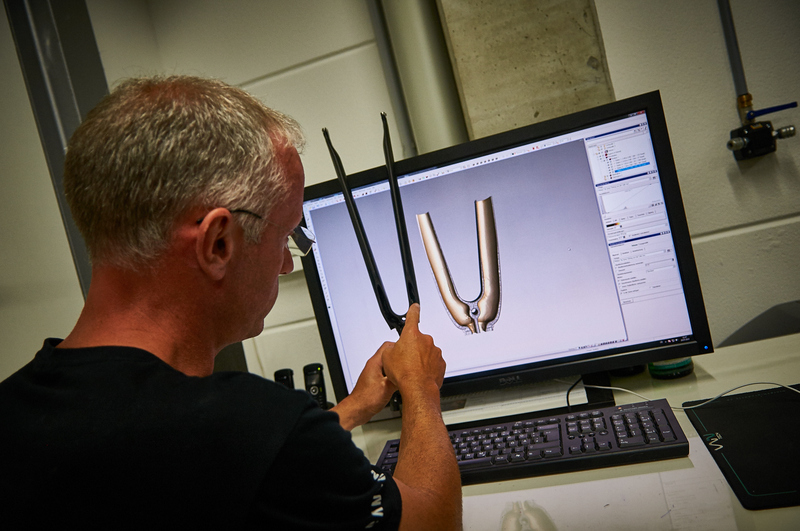 Here, a carbon road bike front fork is checked to see if there are construction failures. Did you know they actually test every (!!) carbon front fork before you buy the bike? All test data is then saved for future reference. 3D check of another fork. In the end all the bikes are finished for the customers, like you! 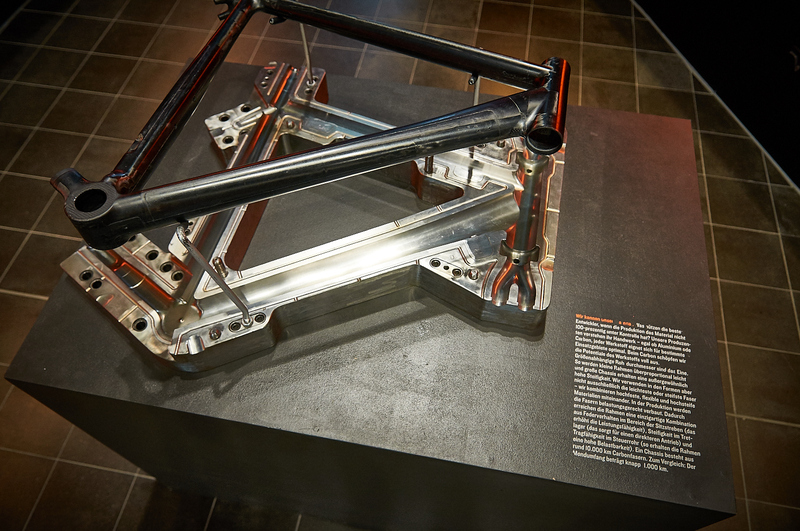 In the showroom you find really interesting facts about the construction of the bikes and parts. This is were it all started from. Selling parts from this trailer. This was years before Roman started to build his own bikes and changed the name into Canyon. 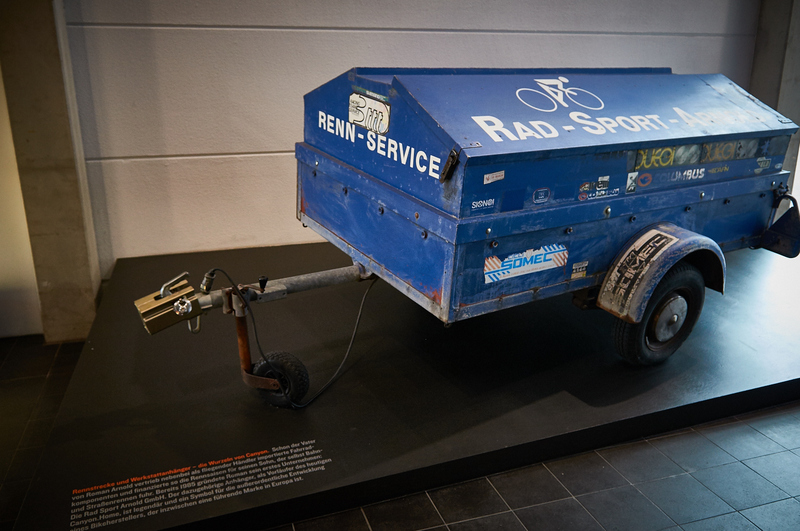 Canyon was founded in 1985 as Radsport Arnold and was officially renamed Canyon Bicycles GmbH in 2001. 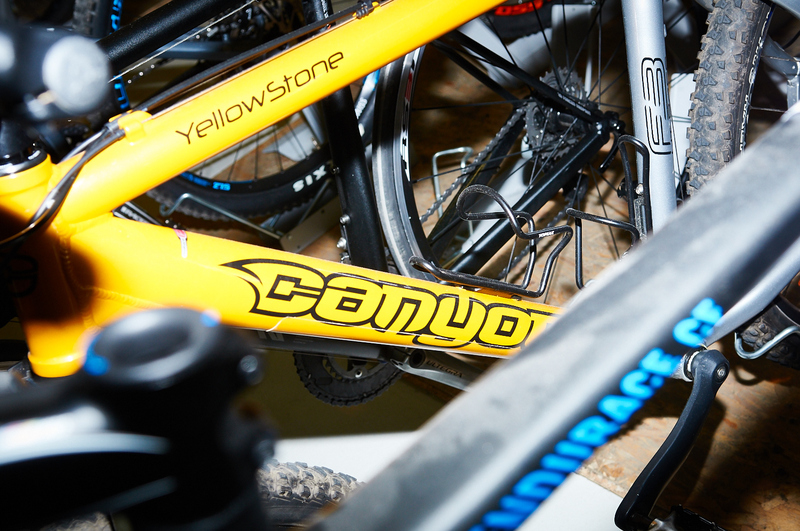 Bikes have been sold under the Canyon name since 1996. 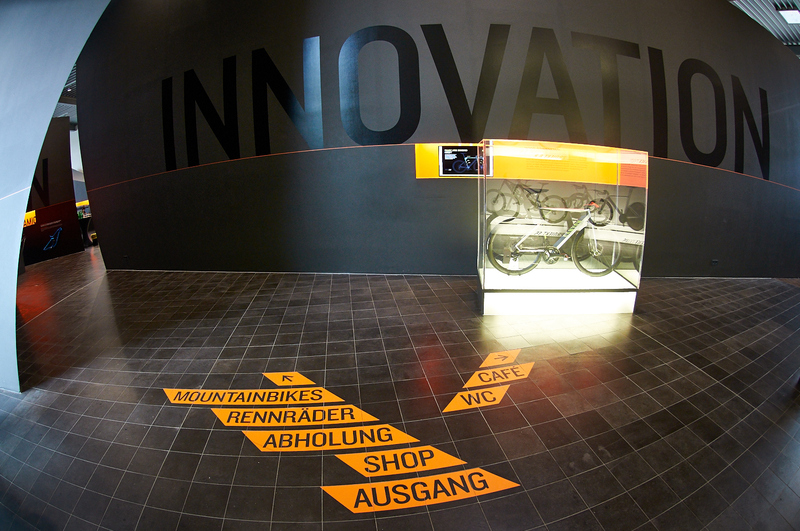 Everything from product development, assembly and direct sales of their mountain bikes, road bikes and triathlon bikes in addition to accessories and clothing takes place in Koblenz, Germany. In 2015 will introduce a range of Fitness and Urban bikes for the first time. Canyon employs its own engineers, composites experts, designers and quality controllers to ensure in-house quality management of the highest level. In recent years Canyon has been named several times as the most sought-after mountain bike and road bike brand throughout German-speaking countries. Canyon has numerous awards to its name, including the German Design Award. Thanks for the article. I found it very interesting. Do you know if anyone ca go to the factory and actually buy a bike there?